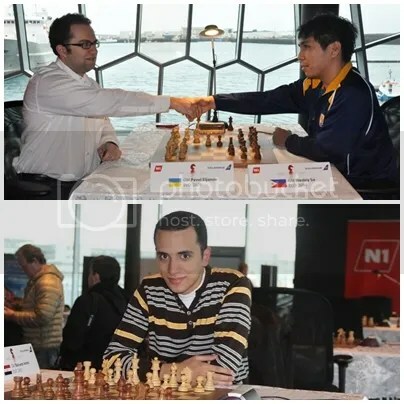 The Reykjavik Open 2013 held for the 28th time from 19-27 February, 2013 in Harpa, Reykjavik-Iceland’s spectacular 28,000 sqm. new music concert hall & conference centre was a very strong tournament participated by 227 players from 37 countries, including 35 grandmasters [ 5-hyper-GMs (2700+), 14-super-GMs (2600+)]. 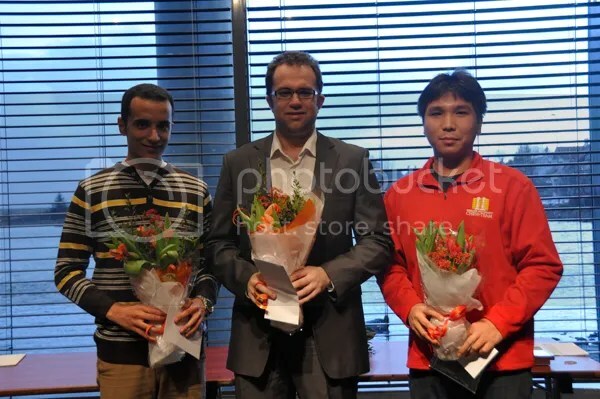 The event is a 10-round FIDE rated ‘Standard’ Swiss system with the top 3-winners sharing the 8250 Euros (total for 1st, 2nd & 3rd prizes) and GM Eljanov getting slightly higher share based on the Hort system with the best Bucholz. 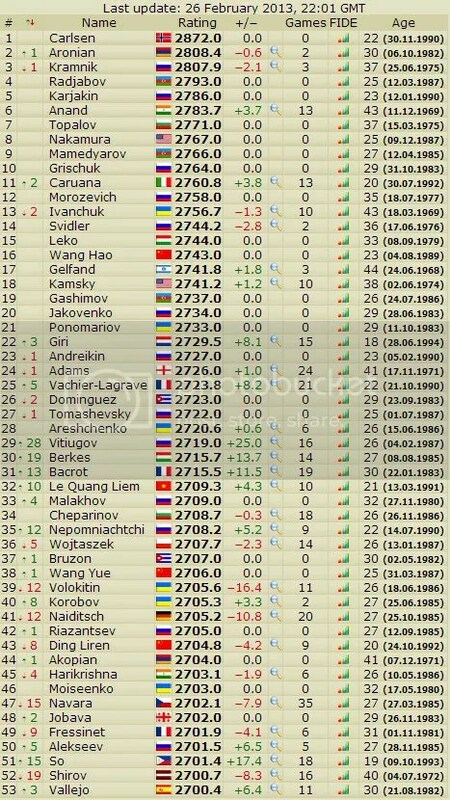 The 29-year-old GM Pavel Eljanov (UKR)2678, formerly the nr.1 rated grandmaster of Ukraine with a peak rating of 2761 (Sep 2010) making him then #6 in the world, scored 8.0/10 from his 6Wins-4Draws-noLoss record and a performance rating of 2799. 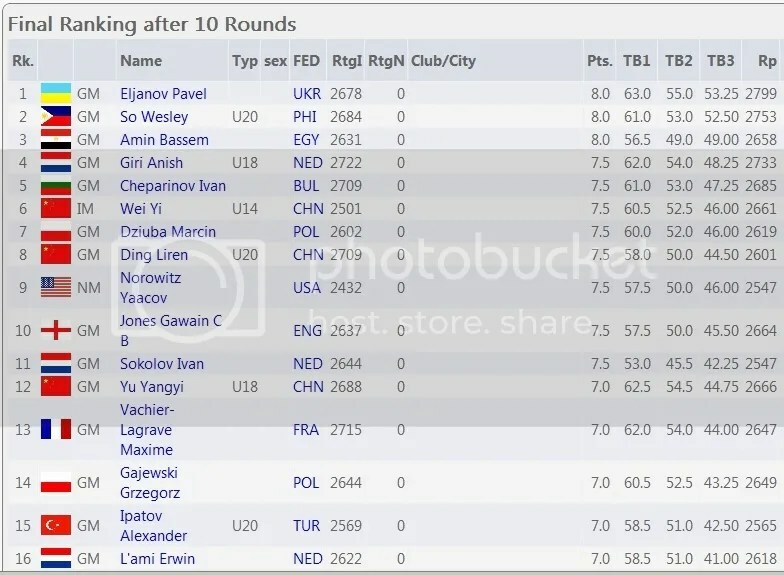 He was seeded #8 in this tournament. The 24-year-old GM Bassem Amin (EGY)2631 is Egypt nr.1 rated grandmaster scored 8.0/10 from his 7Wins-2Draws-1Loss record and a performance rating of 2658. He was seeded #14.